Kennedy considered supporting 1963 coup in S. Vietnam, documents show. New audio recordings and documentation unearthed by George Washington University’s National Security Archive, show that US President John F. Kennedy supported a military coup against the US-backed South Vietnamese regime of Ngo Dinh Diem, even though he recognized the planned coup had no chance of a political success. See previous intelNews coverage for more Vietnam War-related declassified items. Speak Farsi? Israel’s Shin Bet is interested. Israel’s Shin Bet internal intelligence agency is advertising jobs for speakers of the Iranian language Farsi. Israeli intelligence agencies appear to have similar problems with those faced by their US counterparts. JFK Library releases new evidence on Diem assassination. This is a crucial new piece of the puzzle, for the release includes actual tape recordings of White House meetings, when US President Kennedy considered requests from South Vietnamese generals for US backing of the military coup that eventually ended Saigon leader Ngo Dinh Diem’s rule and life. See here for other recent declassifications on the Vietnam War. The US intelligence community writes the book on collaboration. 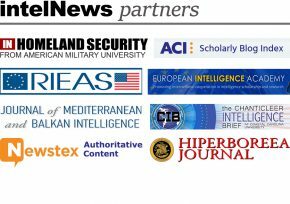 More praise for Intellipedia, the US intelligence community’s version of Wikipedia, which has grown markedly since its formal launch in 2006. Israel admits spying on Lebanon. Israel has openly admitted to collecting intelligence in Lebanon, an uncharacteristically frank admission, which comes after Lebanon busted what has been described as the largest Israeli spy operation in the Arab world. Why is CIA fighting to keep JFK documents sealed? For years, the CIA has fought in US federal courts to keep secret hundreds of documents detailing the relationship between Lee Harvey Oswald and a CIA anti-Castro front group. The Agency says it is only protecting legitimate secrets. But some researchers are questioning this. Up to 320 Pakistani civilians killed in US drone war. As many as 320 innocent civilians may have been killed in the CIA-led US drone war in Pakistan, according to an analysis by the New America Foundation. That’s about a third of the 1,000 or so people slain in the robotic aircraft attacks since 2006. Previous research has shown that approximately 80% of the airstrikes have failed to kill what the US Pentagon calls “high value targets”. Analysis: What are the risks of the CIA’s covert drone program? “It’s easy to understand the appeal of a ‘push-button’ approach to fighting al-Qaeda, but the embrace of the Predator program has occurred with remarkably little public discussion, given that it represents a radically new and geographically unbounded use of state-sanctioned lethal force. And, because of the CIA program’s secrecy, there is no visible system of accountability in place, despite the fact that the agency has killed many civilians inside a politically fragile, nuclear-armed country with which the US is not at war”.